Styled with striped calf sock and carpenter skirt . Perfect for every day. 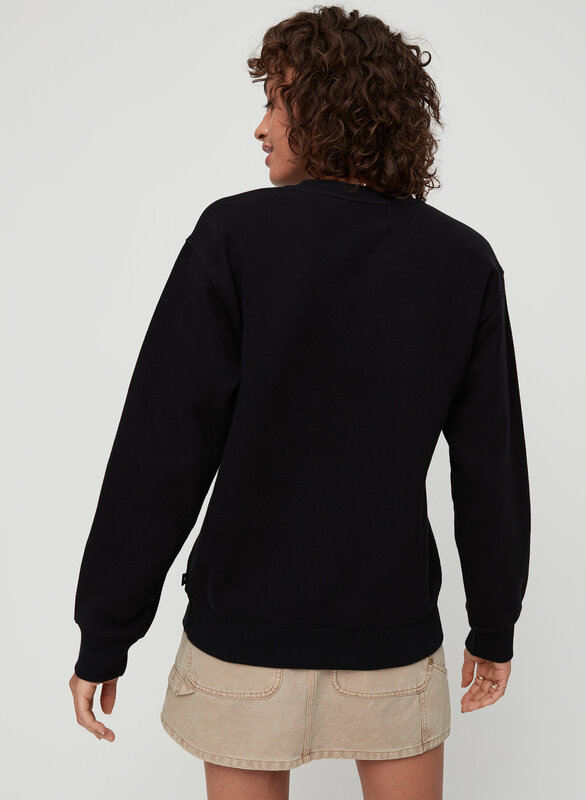 This crewneck is made with Tna's signature Classic Fleece, an ultra-plush, brushed fabric that keeps its shape and only gets better with wear. The quality of this sweatshirt feels good. It did not work out for me because the fit was rather boxier and not that flattering on my frame. I'm 5.5" tall & 110 lbs for reference. The fabric is super thick and heavy, definitely not suitable for spring. I was reluctant to buy this sweater at first because many crewnecks can fit awkwardly, however, once it arrived I was immediately satisfied. - It is great quality (super soft & cozy). - Great fit and true to size. - The colour a bit more vibrant than portrayed, but still nice (I ordered pink). Bottom line: I am extremely satisfied with my purchase! 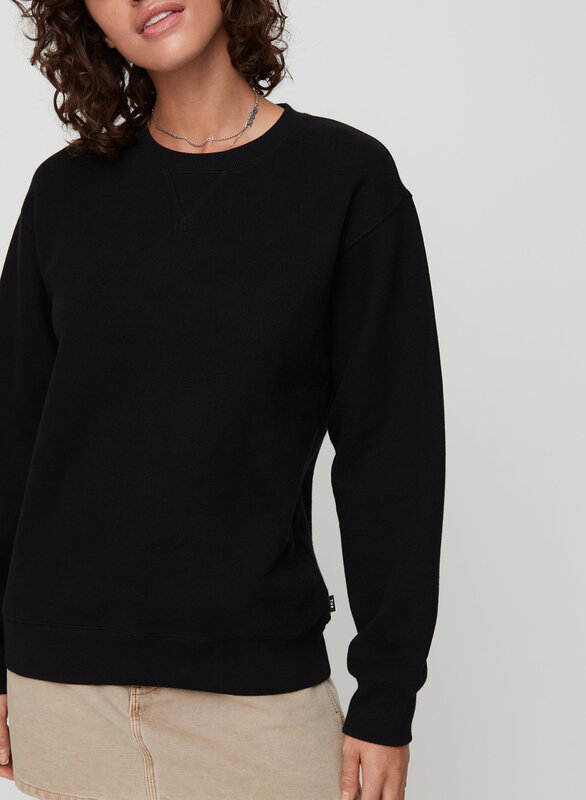 I purchased a size larger then my normal size to make for the perfect lounge around weekend sweatshirt. I love the material and the fit. I have this in 5 colors now and will continue to order more. Don't get me wrong - I like this sweater. It's very comfy. However, I'm very small, and the way that it hangs isn't very flattering. It's baggy everywhere except for at the hips. It's long and it fits a bit tighter in that area - I'd prefer if it was boxier or if it were a shorter cut. This is my second Perfect Crew and I love them both equally. I boutght both in XS because they are an oversized fit. One does fit quite a bit smaller than the other, but the smallest still fit, so I kept it. I’d definitely recommend these for a cozy, nicely fitting sweatshirt. It’s my go to for errands, the gym, and relaxing at home. 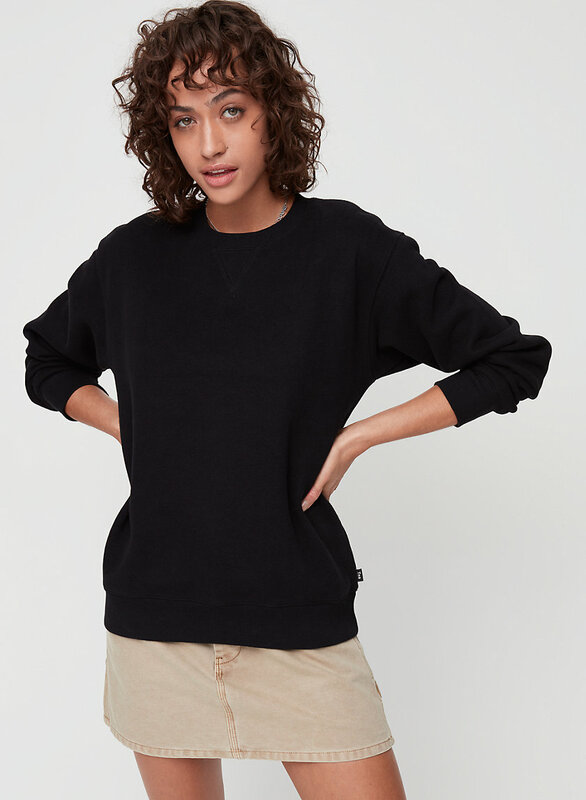 this is a good casual sweater. Its Think, warm and comfortable!! 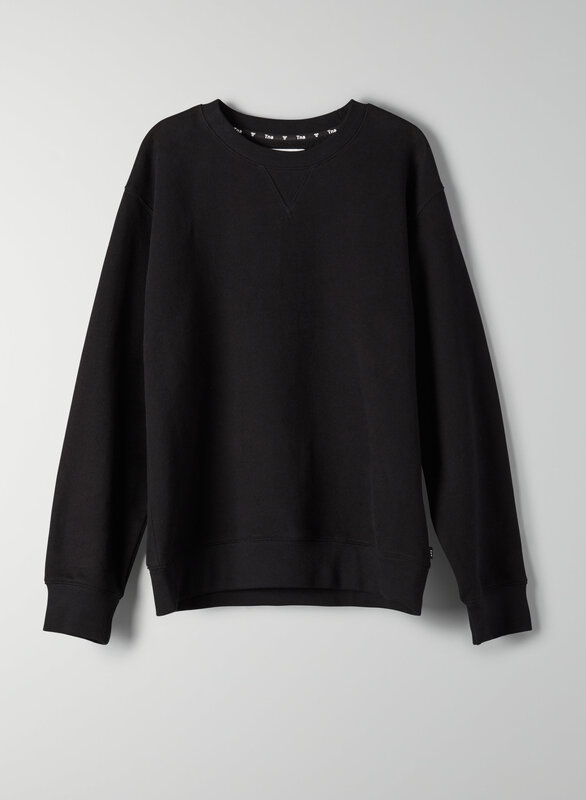 I own this sweater in 6 different colors... it really is the PERFECT crewneck. I would have preferred an XS but they were sold out in the colour I wanted. Still fits, its just a bit baggy. I purchased this in red before, but when I washed it, it shrank quite a bit. I purchased a larger size this time in grey, and it is way too big. I will try to wash it to see if it will shrink a bit. Great basic. Have them in a few colours. Fits true to size. I loved how this sweater feels. This is a great sweatshirt. Love the fit. Super soft.